What is a platform? What distinguishes a platform from a digital product or service? In anticipation of a series of articles on the nature of platform-based competition in China, this article aims to settle on a general understanding of what a platform is, what distinguishes a platform from a digital product or service, and how the nature of competition can be understood in platform-based markets. We end with a lead-in to an important framework for understanding platform-based innovation. We’ll start with a concise definition and then expand on some of the jargon. A platform is a software-based system that provides a range of functions and resources to enable exchanges of value between users. 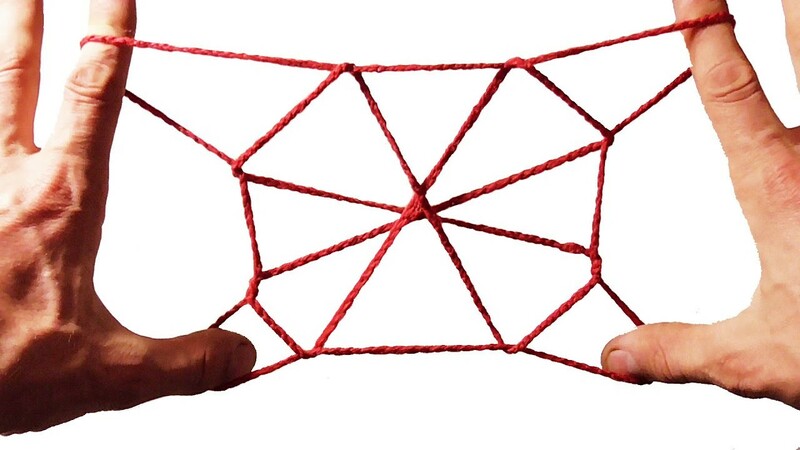 These users interact, supply and consume value across a multisided network – it must be multisided i.e. different categories of user with different needs and pejoratives for using the platform. Value is delivered directly by the platform and/or by individual apps, plugins, mini programs, storefronts and games that draw on resources offered by the platform owner (these apps and mini programs may be referred to as a platform’s sub-systems). Platform resources are commonly accessed via APIs which are purpose-built gateways that enable systems to interact with each other without exposing their respective internal workings. This simple plug-and-play relationship ensures a platform and its sub-systems remain independent (or “loosely-coupled”) as they go about their business. There may also be a physical product in the mix, such as a mobile phone, a wearable, an ebook reader or a car. This combination of platform, sub-systems (apps, mini programs) and physical products make up an ecosystem which has potential to become an Alibaba, Tencent, Baidu, Bytedance or Xiaomi. Many people refer to any digital product or service as a ‘platform’, but this is mistaken as it doesn’t account for very specific dynamics that emerge in successful platforms. In fact, successful platforms are often borne of successful products and services. 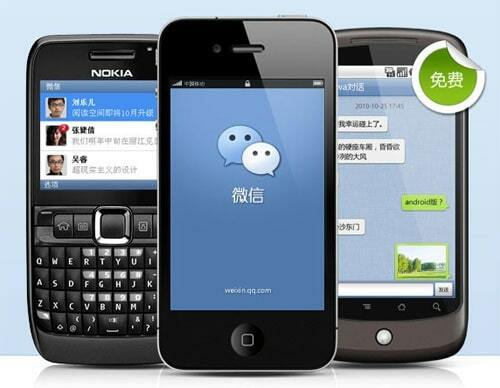 Let’s look at the history of WeChat to illustrate the difference between a successful digital product and a platform. There are two critical inflection points in the early history of WeChat. The first was the introduction of voice chat, which was key in growing the user base in China and southeast Asia - especially among older users who had difficulty using Western alphabet-based interfaces for character input. At this point, WeChat was also able to leverage a carryover dividend in the form of the active QQ userbase to rapidly scale. As a result, competing messaging apps were run out of the market (China Tech Talk, 2018). This is the point that WeChat became wildly successful as a digital product. The second inflection point seen at V4 was the launch of open APIs which is essentially the point when WeChat really became a platform. 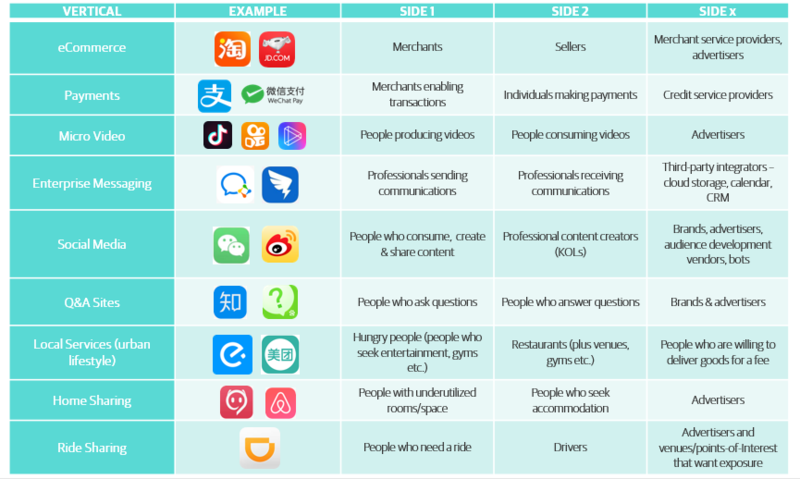 WeChat pay along with integrating partners from other verticals, notably Dianping (大众点评) and JD, cementing its position as the dominant social + lifestyle services platform. Businesses across industries from auto to finance, healthcare and F&B are investing in digital products to deliver value in new ways. These digital products could be anything, from an app that simplifies a B2B purchase journey, to a last-mile mobility service, a personal finance wallet with automated portfolio rebalancing or a fitness app with a user data dashboard and integrated storefront. If these digital products simply extend existing capabilities in the organization or refigure the purchase journey, then the challenge is really one of implementation (rolling the service out to customers) and continued maintenance and improvement of the service. If the digital product enables further value creation upstream with B2B services, or downstream by connecting customers to each other, or to other service providers, then what we have is something quite different. 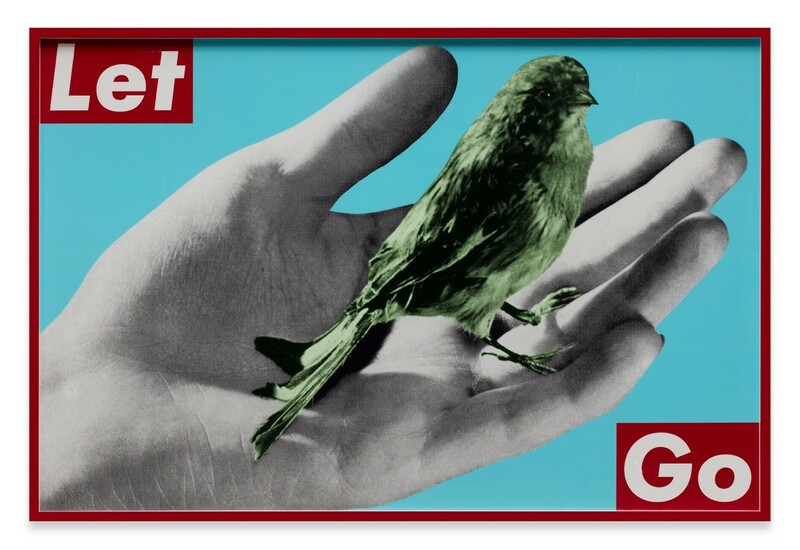 The explosive growth seen among successful social apps, digital media apps and marketplaces is often a byproduct of a fly-wheel effect which comes into play when platforms facilitate connections between value generators (supply) and value consumers (demand). These connections are often articulated through a network, or a virtual space such as an online marketplace. This space is accessed through a well-designed interface that mediates exchanges. Designs can vary wildly by industry and application, for example a P2P file transfer platform will have a relatively no-frills interface in contrast to a streaming platform striving to keep users watching content and engaging with the visual interface. Who participates in networks of value exchange? A paid subscription to an online video service with 5 videos, or an online game with 2 players has very little value. Epic Games, the company behind Fortnite (an online battle royale-style shooter) is now worth around $8 billion – the game itself is free to download. Fortnite’s value to users grows as more users join (providing more opportunities to battle) and as the platform generates new upgrade and experience opportunities (an item shop, battle passes and tiered rewards system) which creates the sense of a sunk cost in players who want to remain top of the leaderboard. You’ve got to keep spending to stay on top. This value is multiplied when we consider the derivative media created by players of the game (such as live video, parodies) and the game’s adaptation into an e-sport with potentially millions of online and offline spectators. As the growth in users on one ‘side’ increases (gamers, video viewers, selfie-takers, online shoppers), the potential value to ‘another side’ (merchants, app developers, KOLs, advertisers) increases, assuming that they want access to this user base. Same-side value also increases as more people join the platform, as per the gaming example. This fly-wheel phenomenon is also referred to as network effects, a topic for discussion in another article. How do you scale such a network? The biggest challenge launching a platform for incumbent businesses and startups alike is that of establishing this multi-sided network. In established markets, incumbents should have the edge as platforms often begin as successful products or services such as cars, smartphones, gyms or underutilized real-estate. These things have potential to evolve into platforms which are immediately populated with users (existing drivers, phone owners, gym members, existing tenants & agent relationships) through carryover. Carryover is often accomplished with preloading, as in the case of the launch of the App Store for iPhone, but could also be based on brand familiarity and loyalty-driven conversion. As mentioned, carryover from QQ Messenger was essential in propelling WeChat into becoming the number one messaging app. 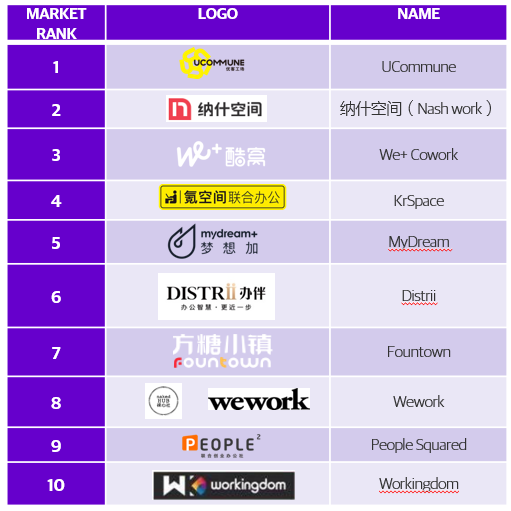 The diversification of Chinese tech media platform 36氪 into a co-working space with its 氪空间 offering makes a lot of sense when you already have an active readership of entrepreneurs with a variety of adjacent needs: real-estate, capital, VC deal data. Alibaba, Bytedance and Tencent’s success in spinning up new platforms also centers on this carryover principle, the most recent case being Bytedance’s social messaging/stories play Doushan, a Snapchat clone which is aiming to leverage the success of its wildly successful micro video app Douyin to siphon young users from Tencent’s messaging app WeChat (while buffeting the threat of Weishi, WeChat’s own micro video platform). The case highlights that if you already serve a market with a solid product or service offering (especially if it is already a platform) you can be quite competitive in another area, assuming your existing users have an adjacent need that can be addressed. Despite this advantage, we often see that new entrants in established markets with the agility and capability to attract and grow their user bases before incumbents have time to respond are successful in reshaping markets. China has over 480 EV brands which are certainly giving traditional Original Equipment Manufacturers (OEMs) a run for their money. EV companies’ offerings are about more than the car. They are about connected services and strategic content partners collectively offer mobility ecosystems that pitch to meet drivers’ lifestyle needs. Looking at the co-working space industry, these businesses aren’t all the outgrowths of commercial real estate empires. On the other hand, we can also see in new markets how first movers are able to be superseded if they are unable to grow and maintain value to a multisided network of users. Consider e-commerce platform Dangdang, which now holds around 0.8 percent market share in China’s e-commerce sector. Despite being established 6 months after Alibaba and becoming the first Chinese business-to-consumer e-commerce platform to go public overseas in 2010, it is generally considered as having failed to realize its full potential. Even ebook sales - where it historically performed strongest - have been eclipsed by JD, leaving Dangdang at the tail end of a consolidated market. Platforms that succeed in the short term don’t always stick around. Platforms are complex systems of activity, and like natural systems, they are entwined in an evolutionary race. The first mover sets the bar of expectation, whether it be in social, or micro video, or P2P financial services, and this establishes an evolutionary clock-speed to which other entrants must keep pace. Features and functionalities are rapidly introduced, reproduced by competitors, and commoditized. Take stories as an example: Snapchat in the West introduced the idea of disposable micro-videos, or ‘stories’, which where the bread and butter of the platform and helped to propel it to hit the 10m active user milestone within about a year of launch (Vaynerchuk, 2016). Facebook-owned Instagram responded with much the same functionality. The runaway success of the format has made an impact on the Chinese market, with WeChat introducing its own version of stories, and Bytedance’s Duoshan quickly following suit (and these are just the main players among countless others). A person looking for the next hot social platform may now expect some kind of stories function to be included: it’s no longer a defining feature. Where does platform-based innovation come from? Apple does not create briefs for new apps that should be built. WeChat does not create briefs for new mini programs that should be built. General Motors does not dictate what developers should do with its SDK and in-car emulator. Steam does not create briefs for new games that should be created. These platforms have internal product teams that create new features and services, but the rate of change to a platform is much slower compared to what happens upon the platform at the front line, where engagements between apps and users allow new ideas to emerge and inspire the formation of new categories of experience. The only way to innovate fast – to keep up with the evolutionary clock-speed– is to provide the conditions necessary to allowing others to create, share, and exchange value. Platform owners cultivate competitive markets where participants are incentivized to pursue rewards, in the form of sales, royalties, commissions and reputational markers such as user reviews. This is what is meant by ‘letting go to grow’. Businesses born of the pre-Internet era struggle with openness – it presents all sorts of contradictions with the protectionist way of doing business in the past and is reflected somewhat in current-day patent wars. 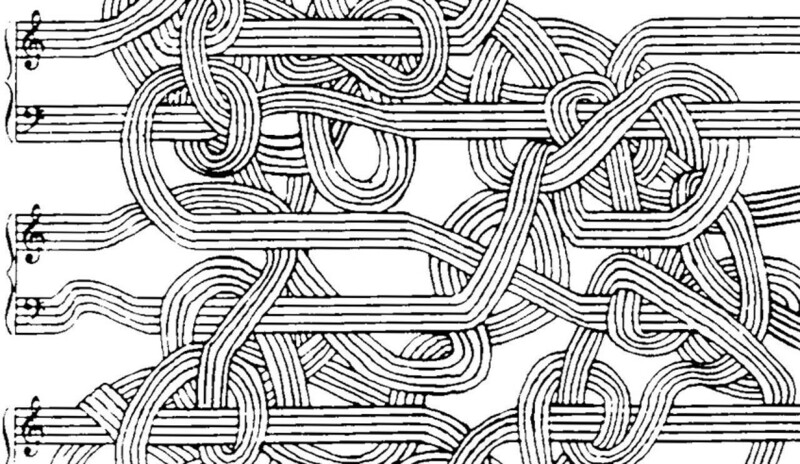 The next-best-thing to ‘openness’ may be work-for-hire from a development team, or entering into formal strategic partnerships to gain access to functionality in third-party platforms. The business gets access to outsider innovation, while keeping control of the platform core and anyone interoperating with it. The problem here is that the business itself becomes the biggest bottleneck to its own success. Tencent commissions many projects internally, but not 1.2 million, which is the number of published mini programs as of December 2018. How do you guide and grow platform activity? Letting go, in reality, doesn’t mean relinquishing control. This is especially true for platforms that depend heavily on trust-based economies such as ecommerce, accommodation rental or dating. Letting go means building systems of incentives and house rules that guide value creation, and having the necessary (often automated) processes in place to enforce them. Amrit Tiwana, an early pioneer of platform theory, calls this orchestration and argues that effective orchestration can only be achieved if platform architecture (how it is put together on a technical level) and governance mirror each other (a topic that requires a little more space). Imagine a big box retailer launching a second-hand marketplace which requires manual approval and inspection of every item submitted. This would provide some security to the business that doesn’t want foul-play in the platform to impact its brand, but this approach quite clearly wouldn’t scale. The right architecture and basic controls that allow for some screening / quality control without demanding a huge amount of human resource could help the idea fly. Perhaps users have to bind their loyalty ID to their user account so there is a clear record of past purchase SKUs that map to the user’s secondary marketplace listings. 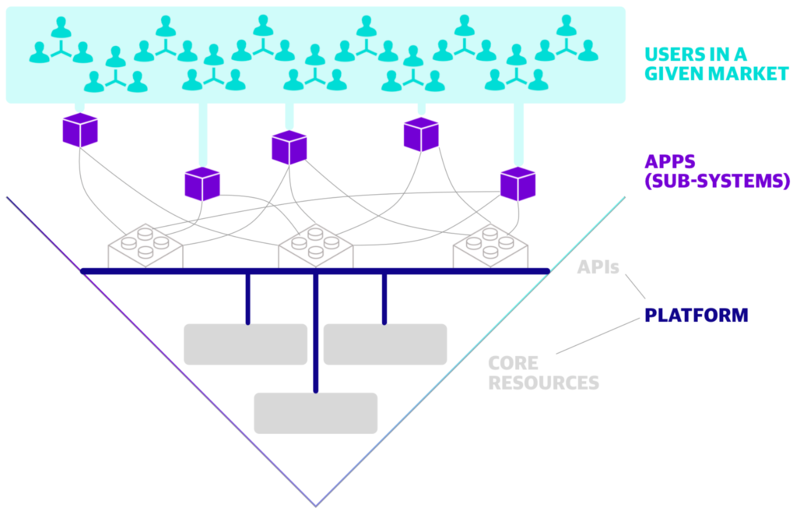 In addition, automatic processes and controls applied to developers can ensure that those who play by the rules benefit from incentives in the form of preferential exposure in search results, superior performance (by following API guidelines or frameworks provisioned by the platform owner) and this translates to better service ratings from end-users. As a side point you could argue this is precisely how the Chinese central government shapes the tech industry without hampering innovation. Enough leeway is provided to enable innovations to emerge, then once scaled, steps are taken to formalize these offerings, harmonizing them with key governing principles that can contribute to the prosperity of society. Practically speaking this means ensuring self-censoring practices are in place and that user profiles are bound to real-name IDs, among other things. If you have successfully launched a platform that provides value to a multi-sided network, your next mission is to defend and grow your position. This is especially so if you are a first-mover and have charted a path for others to follow. In the West, copy-catting businesses are often villainized, as was the case with WeChat as it began to scale internationally through 2013-14. Critics believed WeChat was a derivative of Instagram or Path (founded by Shawn Fanning and former Facebook executive Dave Morin and later acquired by Kakao). Copying, to a greater or lesser extent, is fundamental to the establishment of a dominant design in any industry. It applies to EVs, bike rental apps, voice assistants, enterprise SaaS; pretty much anything. The copycatting of best practices was a key feature of efficiency-based competition prior to the emergence of the Internet. If you take copy-catting to be the cost of doing business, your mission as a platform founder is to minimize the outflow of innovation to competitors (prevent them from copying you), while simultaneously increasing the amount of new innovation (quantity, quality and speed) you are able to translate into a meaningful advantage. Tiwana uses what he calls the “bathtub model” to illustrate the inflow and outflow of innovation, but we like to think of it as an innovation cache which includes a mix of innovation applied at the level of specific features, plus innovation applied at the level of brand experience. When designing platforms, technology, experience and brand go hand-in-hand to define your offering and cut out a position in a given market. Rather than treating agile value proposition development separately of brand, we often approach the two simultaneously, bringing research, brand design, digital experience design and development together. This is what builds lasting defensibility - a topic that will be explored further in the next edition of the series. This article introduces a clear definition for what a platform is. We briefly explored some defining features of platforms; notably that they enable the creation and exchange of value between multiple sides, such as buyers and merchants. Thirdly, we considered how open innovation drives platform growth. This third dimension doesn’t imply that the destiny of a platform is in the users’ hands. Platform owners need to manage their own internal innovation, while balancing controls with openness to guide, or orchestrate, participant actions. Building a defensible advantage through continuous innovation will be the topic of the next article in the series.